Sarah joins Janet on our Reception team to ensure that you always get a warm welcome when you come to our practice and that your appointments run smoothly here. 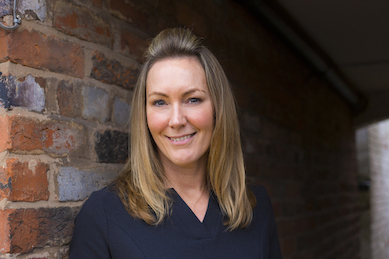 After graduating from Sheffield University with a BA in Home Economics, Sarah spent 18 years at the Co-operative Group in Manchester in product development and food marketing. A Mum of two, Sarah has spent the past 7 years busily bringing up her children where she lives in Stockton Heath. As her children are a now a little older and settled at school, Sarah was keen to return to the workplace but without a Manchester commute! Sarah is a keen skier and enjoys keeping fit and running. She has a holiday home in Greece and enjoys spending time there paddle boarding and sailing. As you would expect from her degree background in Home Economics, Sarah loves to cook in her spare time and is inspired by cuisines from all over the world.